The Dominion Command, Canadian Legion of the British Empire Service League, Ottawa, Ontario, granted a Charter (Certificate) to Colchester (Nova Scotia No. 26) Branch, Canadian Legion of the British Empire Service League, Truro, N.S., under the date of October 29th 1928. Date of Organization was October 21st 1927. The Purposes and Objects of this Branch shall be as laid down in the General By-Laws of the Royal Canadian Legion. The Branch By-Laws shall be consistent with the General By-Laws of the Royal Canadian Legion. Membership is open to the classes as laid down in the General By-Laws of the Royal Canadian Legion. (a) No person shall be entitled to more than one membership, except a member of a Tuberculous Veterans’ Section branch. (b) No avowed anarchist, communist or other person who advocates the destruction of organized government in Canada by force, shall be permitted to become or remain as a member. (c) The qualification to vote or hold office shall be as laid down in the General By-Laws of the Royal Canadian Legion. (d) Subject to the conditions laid down in the Legion General By-Laws, Ordinary, Associate, and Affiliate Voting Members may, from time to time be constituted Life Members on payment of such lump sum in commutation of ordinary dues, upon such terms and conditions as may from time to time be decided upon by the Branch. (e) Branch Honorary Membership may be granted, as laid down by the General By-Laws of the Royal Canadian Legion. When voting on applications for membership or affiliation, the will of the meeting shall be ascertained by a simple majority vote. (a) The Officers of the Branch shall be the President, 1st and 2nd Vice – Presidents, and Sergeant-at-Arms, all of whom shall be elected by secret ballot, and installed annually at the Regular Meeting in December. The Immediate Past President shall also be an Officer. (1) A Service Officer shall be appointed by the President-elect, subject to the approval of the Executive Committee and the General Meeting. The Service Officer shall be a member of the Poppy Trust Fund, but shall not hold the position of Chairman. (b) The President shall preside at all General, Special and Executive meetings and enforce order and strict observance of the Legion Constitution and By-Laws and rules made herein and countersign all cheques issued by the Treasurer, and all Promissory Notes, Bills of Exchange and other instruments involving the liability of the Branch. He shall exercise a general supervision and control over the officers and business of the Branch and shall call meetings of the Executive Committee, or of the Branch, when he considers it advisable. He shall transact such other business as may by custom pertain to his office. He will be a member, ex-officio of all committees. At the hour appointed, the President shall take the chair and call the meeting to order and preside during the meeting. He shall be an accredited delegate at Provincial and Dominion Conventions, providing the Branch decides to send a delegation. (c) In case the President is absent or disqualified, the 1st Vice-President shall act in his stead, and in the absence of both the President and 1st Vice-President the 2nd Vice-President shall take the chair and preside. In the absence of the preceding officers, a Past President shall preside and conduct the meeting and may transact all ordinary business of the Branch except in matters pertaining to finance and the amendment of these By-Laws. (d) In the absence or disability of the President, all of the rights and powers vested in the President shall, for the time being vested in the 1st Vice-President, and in the absence of both President and 1st Vice- President all the rights and powers vested in the President, shall for the time being, be vested In the 2nd Vice President. 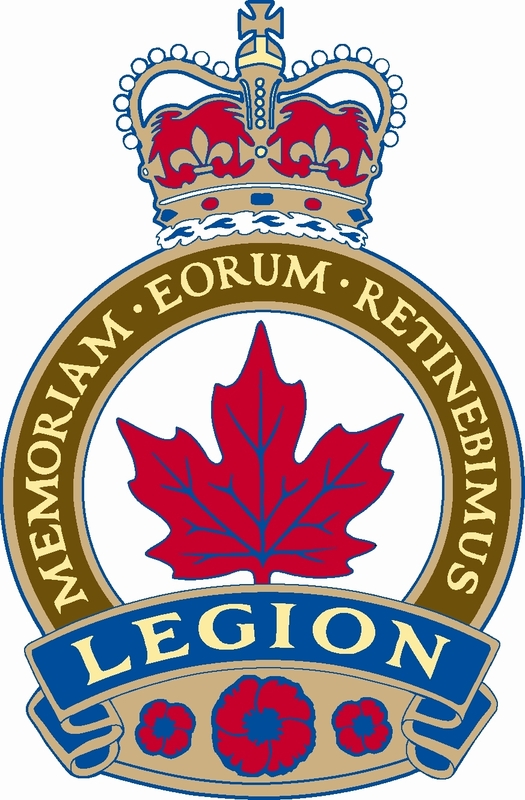 (e) The Sergeant-at-Arms shall carry out the ceremonial duties as detailed in the Ritual of the Royal Canadian Legion, and shall assist the Presiding Officer in the maintenance of order at meetings. (f) The Presiding Officer, at any meeting shall enforce order and strict observance of the Constitution and these rules and By-Laws. He shall have the right to decide all questions of order, subject to the appeal of the meeting sustained by a majority vote of those present. (g) The Presiding Officer, at any meeting, shall rule out of order all matters pertaining to political questions which do not refer to the well-being of the Legion, also matters of a religious nature. (h) The Presiding Officer shall, when debate has ceased on any question put the same to a vote, giving the words of the motion or resolution clearly, so that no member may misunderstand the question on which he is about to vote. (i) A member wishing to introduce a motion, or to speak, shall arise and address the Presiding Officer, and shall wait until he is recognized by the Presiding Officer before speaking. (j) At any meeting of the branch, the Presiding Officer has a vote which he may use either when the vote is called for or when the vote results in a tie. The Presiding Officer has not a second, or casting vote. (k) The Presiding Officer shall sign the Secretary’s minutes when they have been approved by the meeting or Executive. All minutes must be typed, and signatures written in ink. (l) Members shall not hold private discussion during a meeting or talk on any subject in an unseemingly manner. (m) In all matters of procedure not provided for in the General By-Laws of the Royal Canadian Legion, Nova Scotia/Nunavut Command or Branch By-Laws, the provisions of the Legion’s “Rules of Procedure for Legion Meetings” shall apply. In all cases where these rules do not make adequate provision, then only “Roberts Rules of Order” shall apply. (a) The Executive Committee shall be comprised of the Officers of the Branch, and only eight other members who shall be elected annually by secret ballot, and installed at the Regular Meeting in December of each year. (b) The Executive Committee shall engage such employees as may be required for the proper working of the Branch. Such employees shall be under the control of the Executive Committee, who shall determine wages and/or remuneration to be paid to such employees. A decision to employ a Branch Manager must be ratified by a General Meeting, notice of motion having been given at a previous General Meeting. A Secretary and a Treasurer shall be employed by the Executive Committee. They shall attend Executive Committee meetings, but shall not have a voice or a vote. (1) The Secretary shall keep a record of the proceedings of all meetings whether of the Branch or Executive Committee, in special books kept for that purpose. He shall be required, at every business meeting, to have with him the proper minute and record books and correspondence which he may have in his possession, relative to the business likely to be transacted at any meeting. He shall be the custodian of the seal of the Branch. He shall hold these and act at all times and in all aspects entirely at the will and pleasure of the Branch and Executive Committee and shall conform to all such rules and regulations as the Branch and Executive Committee may determine. He shall keep a record of the attendance of the Officers and Members of the Executive Committee at the various meetings of the Branch and of the Executive Committee. He shall record such attendance in the minutes of such meetings. The Secretary shall on relinquishing office hand to his successor all Branch property in his possession. He shall create and keep a nominal roll of members entitled to receive the Legion magazine. He shall hold all insurance policies and any other legal instruments and it shall be his duty, in co-operation with the President, to see that such are kept up to date. All contracts, legal instruments, insurance policies and agreements shall be placed in the care of the chartered bank in which the funds of the Branch are on deposit, along with the securities which are the property of the Branch. (2) The Treasurer shall keep a true and just account of all monies received and paid out by the Branch and all financial transactions of any and every kind whatsoever, including always a full and complete statement of the credits and liabilities of the Branch. The Treasurer shall deposit all funds of the Branch in a Chartered Bank at Truro to be determined by the Executive Committee, and all accounts shall be kept in the name of the Branch. However, the Executive Committee may make a rule by motion that the funds of certain committees such as Bar, Bingo, Membership and Poppy, be deposited by the Bar Manager or Committee Chairman. All monies payable by the Branch shall be paid by cheque only, signed by the Treasurer and countersigned by the President or Vice-President of the Branch, and no cheque shall in any case be signed by any officer in blank. The Treasurer shall keep the books at the office of the Branch, and they shall be open to inspection by the Executive and Finance Committee at all times. When and as often as the Executive Committee shall require, the Treasurer shall set forth a detailed balance sheet, containing a summary of the property and liabilities of the Branch, and all of its financial dealings, arranged in a proper and business-like style. A copy of this statement shall be filed with the Secretary at each monthly meeting. The Presiding Officer will initial such statement after it has been adopted by the meeting. (c) It shall have the power of the Branch, with the following exception. It shall not have the power to rescind, alter or amend the By-Laws, rules or regulations adopted by the Branch; to expel members other than provided by the General By-Laws of the Royal Canadian Legion; to raise money by loan, mortgage or debentures; or to sell any real property belonging to the Branch. (d) The Executive Committee shall meet at the call of the President, or on the written request signed by five or more members of the Branch. In case of a written request, three days’ notice of such meeting shall be required. (e) The Executive Committee may suspend or dismiss any salaried employee, with just cause. (f) If a member of the Executive Committee should at any time be unable to act thereon and retire therefrom before the expiry of his term of office, a new member may be elected by a majority vote of the Branch for the unexpired term. (g) If a member of the Executive fails to attend three consecutive regular Executive Meetings, without just cause, he shall be removed from office and shall be replaced by the next General Meeting. If he is a member of the Executive Committee by virtue of being an Officer of the Branch, he shall likewise forfeit that office and shall be replaced at the next General Meeting. (h) A quorum for an Executive Meeting shall be five (5). (i) The Executive Committee shall have full charge of the Legion Building; and be responsible for all activities carried on therein. It has the discretionary power to close any part, or room or grounds, in and adjacent to the building, as it sees fit, with due and proper cause. The Executive Committee is also to have the authority to advance or postpone the date of the Branch Monthly General Meeting, any Special General Meeting of the Branch, providing always that the requirements of Article 7 (a) and (m) are fulfilled. (j) In the event of any member wishing to appeal any action done by the Executive Committee, in connection with the management of the Branch, he will write his objection to the proper authority (secretary) who will immediately bring such to the attention of the Executive, which will rule on it. If the ruling does not satisfy the objector he may appeal to the next General Meeting of the Branch. (a) The Regular Monthly Meeting shall be held on the third Thursday of each month, except July and August. A notice of meeting shall be placed in the Branch Bulletin and on Branch boards and shall be considered satisfactory notice of meeting. The notice shall contain the exact wording of all notices of motion. Notices in the Branch bulletin shall appear at least Monday prior to the meeting and shall contain the purposes for which it is being called. (b) The Annual General Meeting shall be the December General meeting of each year. At this meeting the Officers and members of the Executive Committee shall be installed and assume their duties. (c) The reports of the officers shall be presented at the Annual Meeting also the reports of standing and temporary committees. (d) The General Meeting of the Branch shall be the meeting for carrying out its activities in connection with the welfare of members and ex-service men and women, and with the social and comradeship life of the Branch, and for the prosecuting of the Purposes and Objects of the Branch. (e) At the October General Meeting, in each year, the President, on the authority of the meeting, shall appoint a Nominating Committee, consisting of three members. No Officer, Executive Member, or employee of the Branch shall be a member of the committee. The Nominating Committee shall bring in a slate of Officers and Executive and shall present such slate in the December Branch Bulletin, and to the December General Meeting. This action shall not, in any way, deny the right of members, in good standing, to make nominations from the floor. (f) A nominee for election as President, 1st Vice-President or 2nd Vice-President must have served one year on the Executive Committee, and a nominee for election to the Executive Committee must have held membership in the Branch for at least one year. (g) No person shall be an Officer or Member of the Executive Committee simultaneously in both the Branch and the Ladies Auxiliary. The application of this section shall not be retroactive. (h) All nominees for elective offices and Executive Committee shall, if present, signify their intention of accepting the office if elected. If not present, the chairman of the Nominating Committee will submit a letter from the nominee to the effect that the nominee accepts such office if elected. Nominees from the floor shall be present and must signify their intention to accept the office for which they have been nominated. If such nominee be not present, the nominator must deposit a letter from the nominee stating that he will accept the office if elected. (i) Election of Officers, Executive Committee, Trustees, Zone Representatives, Convention Delegates, and all other elections shall be by secret ballot. When balloting is for the election of a single officer or other elected position, the candidate receiving the highest number of votes cast on the first ballot shall be declared elected. When balloting is for the election of more than one Officer or other elected position, members may vote for up to, but not more than, the number of candidates to be elected. Those candidates receiving the highest number of votes cast on the first ballot, shall be declared elected. (j) The December Monthly Meeting shall elect one member to act as a representative of the Branch to Zone 10, for the ensuing year. The Branch President, shall also be a representative to the Zone. An additional election shall be held for two alternatives. (k) The Auditor or Auditors shall submit Financial Statements for the year ended December 31st, not later than March 31st of the following year, with the required certificates, as outlined in the General By-Laws of the Royal Canadian Legion attached thereto. Each member shall be notified, in accordance with Article 7(a), that such financial statements are to be presented at a stated meeting. A copy of these statements shall be presented to each member present, prior to their reading, and to the Secretary for Branch records. (l) A quorum of the Regular Monthly Meeting, Special General Meeting or Annual Meeting of the Branch, shall Be Twenty (20). (m) Special General Meetings of the Branch may be called by the President, at any time, and shall also be called by him on request of Ten (10) members in writing. The provisions of Article 7 (a) shall apply, with the following exceptions. Six (6) days’ notice of such meeting shall be given. If, for any reason, the regular Branch Bulletin cannot provide the fulfillment of this requirement, a notice of Special Meeting shall be posted separately on the branch bulletin boards. The notice in the local daily newspaper shall also appear at least six days prior to the Special Meeting. (n) No bookings for the auditorium shall be accepted by the Booking Officer which will interfere with the holding of the Regular Monthly Meeting. (a) Standing Committee chairmen, in each year shall be appointed by the Branch President, subject to ratification by the Executive Committee and the Annual General Meeting. (b) The Executive Committee shall determine the number and nature of the Standing Committees needed and their powers, rights and duties. However, the following committees shall be mandatory; By-Laws, Committee Guidelines, and Poppy. The Finance Committee shall also be mandatory. The Branch Treasurer shall be a member of this committee, but shall not be the chairman. The books of the Treasurer shall be open to inspection by the Finance Committee, at all times. The Committee shall review monthly the current financial condition of the Branch, paying particular attention to the Report of the Treasurer, the Bar Report, and other reports in need of review, as well the accounts payable. The committee shall analyze the auditor’s year end statements and reports. It shall review proposed expenditure for major equipment, major alterations and additions to the buildings. The term “major” means an expenditure in excess of Eight Hundred Dollars ($800). Having made the above reviews and analysis, the committee shall make recommendations to the Executive Committee, when necessary. The Finance Committee shall review the insurance on the Branch property, and make recommendations to the Executive Committee, who shall be responsible to see that the Branch is adequately covered. (c) The majority of the Committee, except the Executive Committee, shall be the quorum thereof. (d) All Special and Temporary Committees shall be named by the President, and shall perform the duties assigned to them within the time Specified, and report the result back to the Branch. (e) No member shall be obligated to serve on more than two Committees at one time unless he elects to do so. (f) The first named in the committee shall act as chairman. (g) All reports of committees shall be presented in writing and signed by the members offering the same. (h) In case of the inability of any member of a committee, or Board of Trustees, to carry out the duties required at any time, the vacancy thus created may be filled by the naming of a member to act at any General Meeting. (i) A quorum of the Membership Committee shall be sufficient to review all applications for membership in the Branch. (j) No Committee Chairman or member shall sign any written contract which involves the Branch in a financial liability. (a) Members shall pay an initiation fee and dues in an amount as decided from time to time by the General Meeting, providing always that a notice of motion shall be given of the intent to set or amend this amount. (b) Any member in arrears of dues shall not be entitled to vote on any matter before the Branch. (a) The Financial Year of Colchester Branch shall end on the 31st day of December in any year. (b) The power of the Executive Committee to vote money from the funds of the Branch for any one purpose shall be limited to the amount of One Thousand Five Hundred Dollars ($1500), except for current operating expenses. Operating expenses do not include purchases of equipment, furniture and fixtures, major repairs, building alterations and additions, expenses of delegates representing the Branch at Conventions and Sports events, and donations. (c) The power of the Regular Monthly Meeting, or Special General Meeting, to vote money from the funds of the Branch shall be limited to the sum of Two Thousand Dollars ($2000) for any one purpose, unless previous notice has been given that a slated sum of money for a stated purpose will be voted upon at a Regular or Special General Meeting, notice of this Meeting being given in accordance with the By-Laws of this Branch. (d) The Treasurer of the Branch shall be bonded in the sum of not less than Ten Thousand Dollars ($10,000) in a standard bonding company and the fee in connection with the same shall be paid by the Branch. The Standing Funds to be the cost of such fees in equal amounts. (e) All employees, officers and members, handling monies of the Branch, shall be bonded in amounts suitable to the situation to be covered. Such bonding and amounts to be set by the Branch Executive Committee. (f) All bonding fees shall be paid by the Branch and such fees shall be charged against the fund concerned. (g) All bonds, securities and other negotiable instruments, the property of the Branch, shall be deposited in the custody of the bank, where the Branch funds are on deposit. Such bonds, securities or other negotiable instruments shall not be removed from the custody of the bank except on written order of the President and Treasurer. Those officers shall not withdraw the bonds, securities or other negotiable instruments form the custody of the bank except on the authority of a General Meeting of the Branch. NOTE: See section (b), Article 6, “Duties of Treasurer”. (h) At every Annual General Meeting an auditor or auditors shall be elected, on the recommendation of the Executive Committee and subject to the ratification of the meeting, to hold office until the next Annual Meeting. (i) The Books and Accounts of the Ladies Auxiliary, Colchester Branch, shall be subject to audit of the Branch Auditors. Such Books and Accounts may be Audited on request of Ten (10) members through the President of the Auxiliary. Such members requesting the audit shall be paid-up members and shall sign the petition for such audit individually. (a) A Board of Trustees shall be elected of not less than Three (3) or more than Five (5), each of whom shall be over Twenty-One (21) Years of age, for the purpose of holding, on behalf of the Branch, all or any property including real property, furniture and equipment, both movable and immovable, in which the Branch is or may become possessed of. (b) The Chairman of the Board of Trustees shall retire at the December Regular Monthly Meeting each year of the Branch, and a new member shall be elected at this meeting, the senior member remaining shall automatically become chairman of the Board for the ensuring year. In the event of a Trustee being replaced, for any reason, the successor, upon appointment shall have all the duties and powers of the trustee whose place he takes on the Board. Any Trustee of the Branch shall not be a member of the Executive Committee. The veterans’ plots, acquired by the Branch, shall be governed by the following regulations. (a) The express purposes of these plots is to provide a burial place for those who are eligible for ordinary membership, who die in indigent circumstances. This condition shall be investigated and ruled upon by the Executive Committee. (b) Perpetual care shall be provided for these plots. (c) A suitable marker shall be erected in each plot and inscribed thereon the name, rank and regimental number of all buried in the plot. (d) These plots shall be held in trust by the Board of Trustees of the Branch, while the regulations relating thereto shall be administered by the Executive Committee. The Ritual of the Branch shall be as set out in the Ritual of the Royal Canadian Legion. (a) The Branch Poppy Fund shall be governed by the General By-Laws of the Royal Canadian Legion. (b) Expenses of operating a Service Bureau shall be limited to those pertaining to members of the Branch, or veterans’ resident in the Branch area, unless approved in advance by the Branch Executive. (c) The Poppy Trust Fund Committee shall have the power to Authorize the spending of an amount not to exceed Five Hundred Dollars ($500) in any one application for assistance. (d) The signing officers of the Branch shall be the signing officers of the Poppy Fund. (e) All expenditures of this fund in excess of Five Hundred Dollars ($500) shall be approved by the full Executive Committee. (f) The Chairman of the Poppy Committee may be a member of the Poppy Trust Fund, but shall not hold the position of Chairman. These By-Laws shall not be altered or amended except upon a motion, of which previous notice has been given in writing at a General Meeting of the Branch.